National Poetry Month is the largest literary celebration in the world, with tens of millions of readers, students, K-12 teachers, librarians, booksellers, publishers, bloggers, and, of course, poets marking poetry’s important place in our culture and our lives every April. Inspired by the successful celebrations of Black History Month and Women’s History Month, the Academy of American Poets established National Poetry Month in 1996. 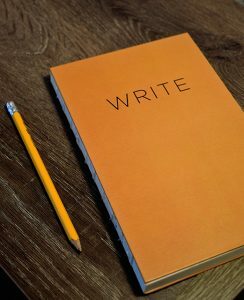 The initial goals of National Poetry Month are to highlight the extraordinary legacy and ongoing achievements of American poets, encourage support for poets and poetry, encourage the reading of poems, increase the attention paid to poetry by national and local media, and assist teachers in bringing poetry into their classrooms. These goals are not just limited to the month of April. Lifelong reading and year-round celebration of poetry is encouraged by the Academy of American Poets. “Poetry is a part of history. It is important to recognize and celebrate,” said Jon Inglett, a Professor of English at Oklahoma City Community College. Inglett said poetry is a form which connects people through universal experiences, provides the opportunity to create, and allows for self-expression. Inglett teaches poetry and also writes poetry. The expression through words helps Inglett understand his own life and feelings. “Sometimes there is an emotional movement inside myself, I have to write, I have to get it out,” he said. Putting pen to paper is said to help the brain “regulate emotion.” Studies suggest the mere action of writing is a way of calming down the brain and re-establishing mental balance. “Poetry is important to keep one’s sanity, it is a way to channel demons and angels out of your mind,” said Mariana Llanos. Mariana Llanos is a successful writer in Oklahoma City. Llanos is mostly known for publishing children’s books but has enjoyed writing poetry since the age of eight. Llanos believes poetry is a good way to be connected to one’s feelings and has the power to connect people through feelings and impressions. Through the centuries poets have explained how poetry connects us to ourselves. Poets elevate the material of everyday communication to art that requires reflection and contemplation, and ultimately elucidates our location in the world. According to the Academy of American Poets, poetry is alive and booming. Many millions of people are reading and sharing poetry online. Hundreds and thousands of people are attending and participating in poetry readings, workshops, conferences, slams, and festivals each year. “There are many, many people in Oklahoma and across the U.S. who are involved in writing and presenting poetry,” said the 2017-2018 state poet laureate of Oklahoma, Jeanetta Calhoun Mish. Mish said there are poetry reading series and literary festivals throughout Oklahoma, as well as colleges and universities across the state hosting poetry readings on a semi-regular basis.